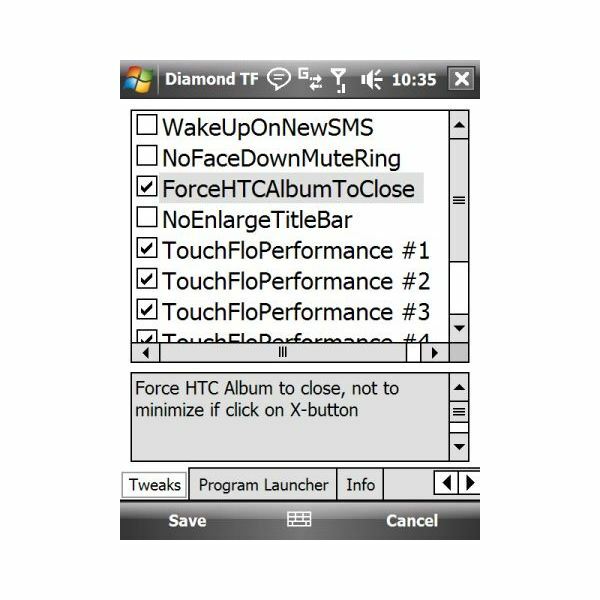 TouchFLO 3D is the superb user interface available on phones such as the HTC Touch Diamond (and variants), HTC Cruise and other Windows Mobile 6.1 devices. 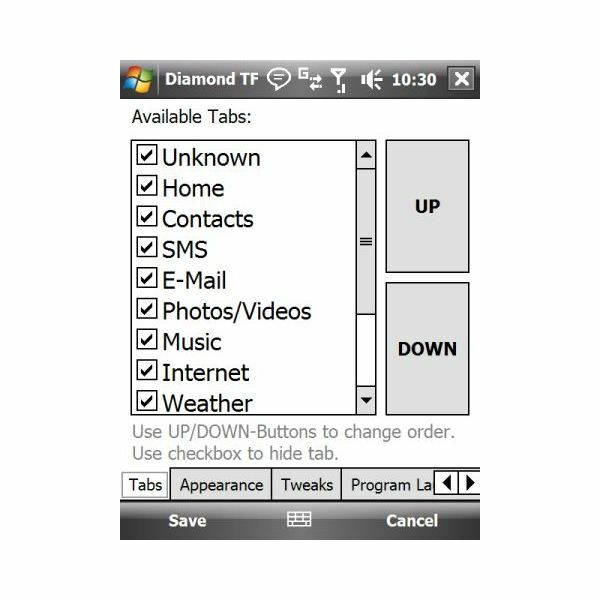 It “sits" upon the Windows Mobile operating system, allowing for an intuitive and modern user experience, and provides the aging Microsoft mobile OS with the biggest shot in the arm it has ever had. In doing so, it has levelled the playing field somewhat between Windows Mobile, Palm OS and the iPhone OS. 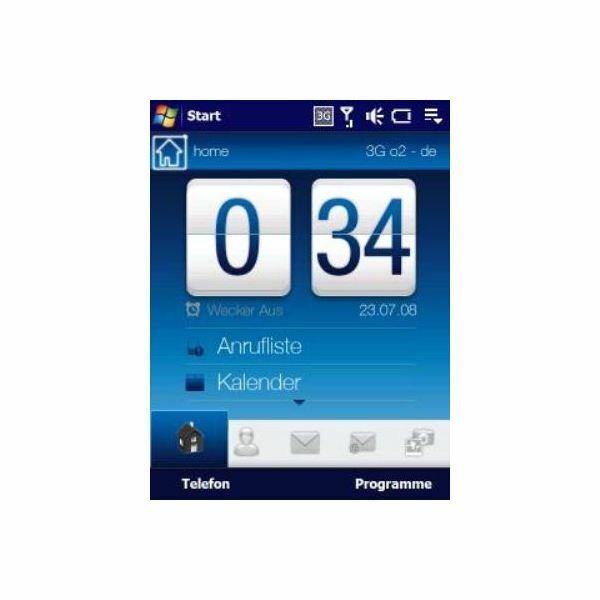 If your touch screen controlled Windows Mobile-powered phone or Pocket PC was purchased with branding from your network operator, you might be keen to remove this. 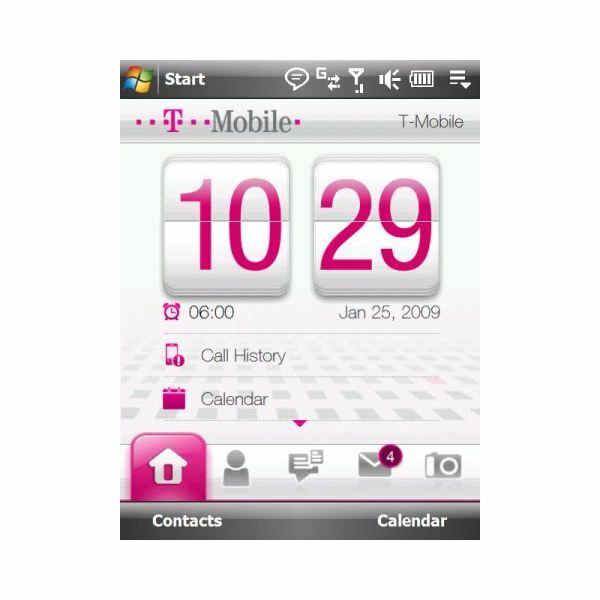 For instance T-Mobile HTC Touch Diamonds ship with a garish white and pink layout (see screenshot below); the typical HTC unbranded phone would come out of the box with a crisp, stylish black interface. 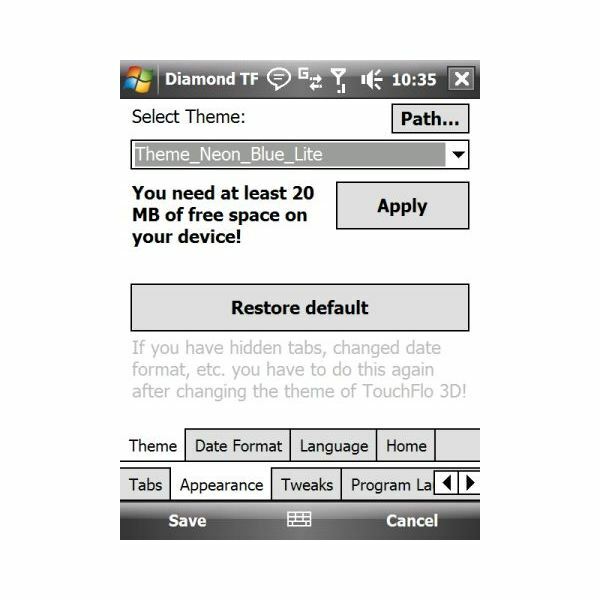 Although there are several themes available to download from various locations on the web, the best and safest way to apply new themes to your TouchFLO 3D is to utilise a free piece of software known as TF3D Config, available from FreewarePocketPC.net. 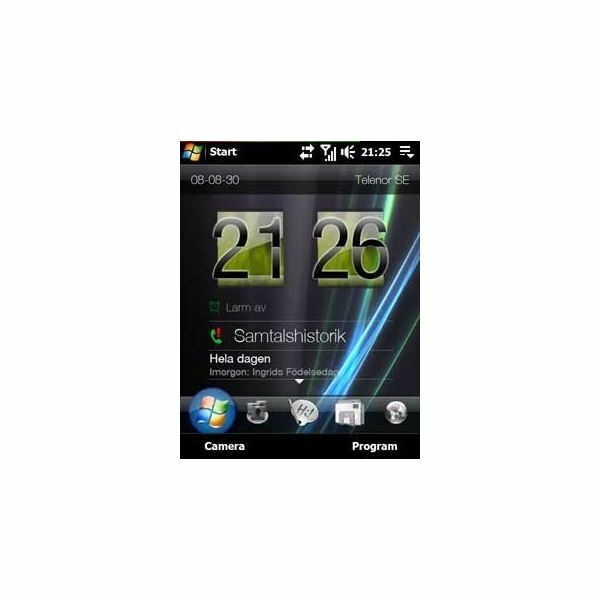 Downloading at just 162kb, this CAB file must be run from your mobile device to install – so download directly to your Windows Mobile handheld or copy it from your desktop via Activesync. Once this is installed, you can begin downloading themes. 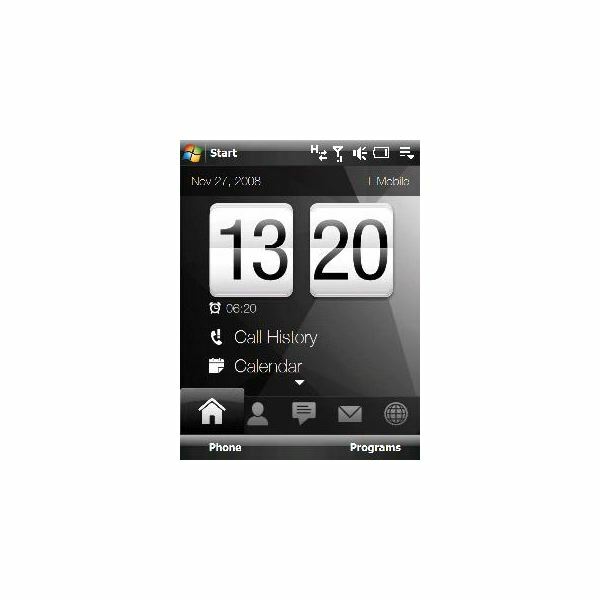 Several sites host downloads of TouchFLO 3D themes – some are available at FreewarePocketPC.net, while others are available at TheTouchBlog.com. When the desired theme has been downloaded, it is time to run TF3D Config. 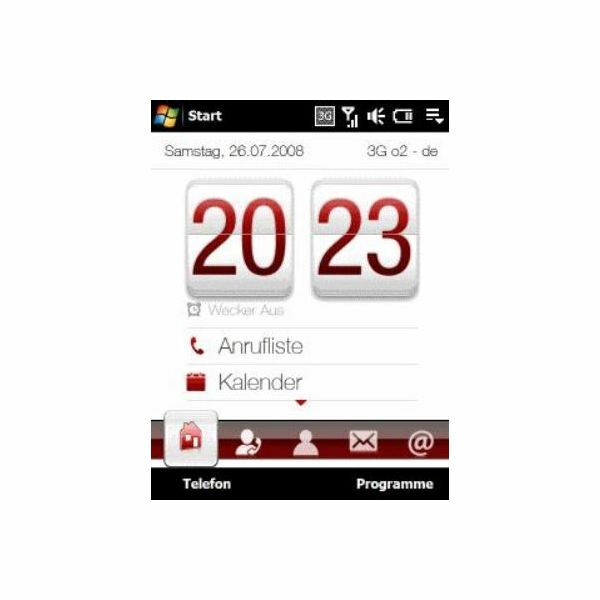 The application allows the user to select which tabs are visible on the Windows Mobile drop down menu, what languages are selected, the time and date format as well as selecting which TouchFLO 3D tweaks are applied – giving you total control over the performance of your phone! It is via TF3D Config that a different theme can be applied. On the Appearance tab, use the Path button to browse to the folder that you have downloaded your themes to – note that if the themes were in .Zip or.RAR format, they should have been unpacked already. The process requires 20mb of free space on your device. Reboot and a New Look! Once the theme has been selected, click OK and then Apply – any tweaks that are required can be applied afterwards. TF3D Config will then remove the files used in the current theme. If this is your default theme that the device shipped with, don’t worry – these can be restored via a full restore of the factory settings. Once the old theme files have been removed, the new ones are installed, with the process rarely taking longer than 5 minutes. You are then prompted to reboot your device. Upon your device restarting, you should see that the new theme has been applied! If at some point in the future you need to change your theme, simply run TF3D Config again, restore the default and apply a new choice of theme. 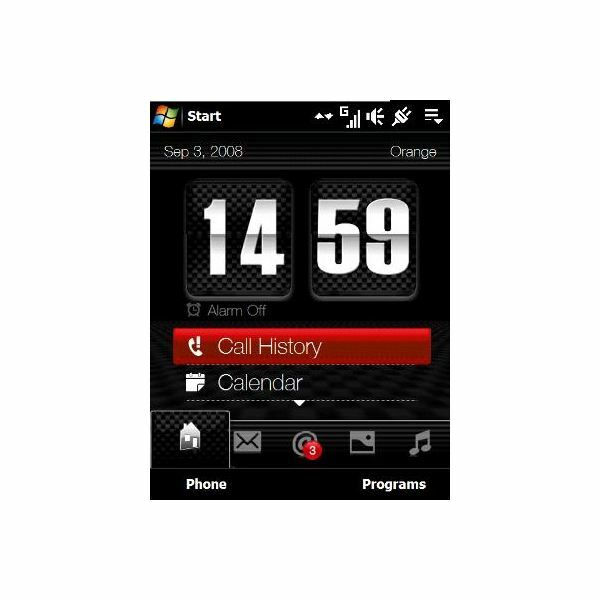 Find more Windows Mobile Guides, Tips and Tricks here!